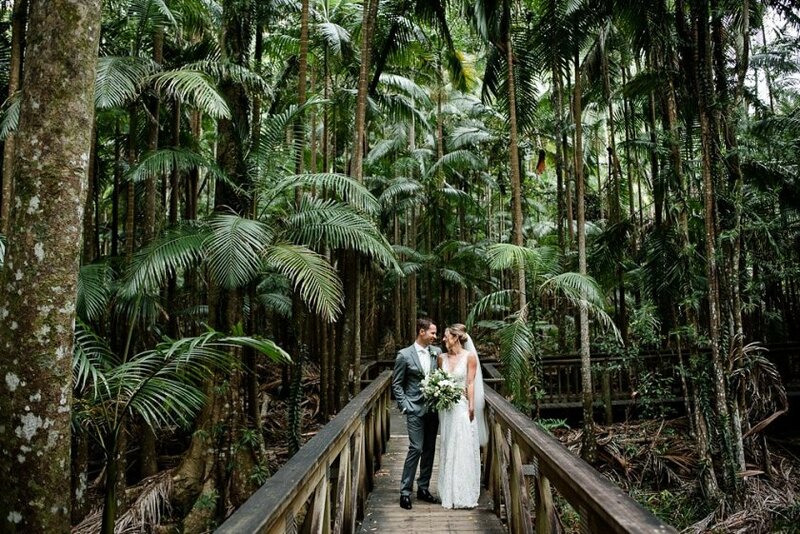 Brisbane couple Alana & Mike chose a venue close to their heart to get married – a family backyard in Buderim. 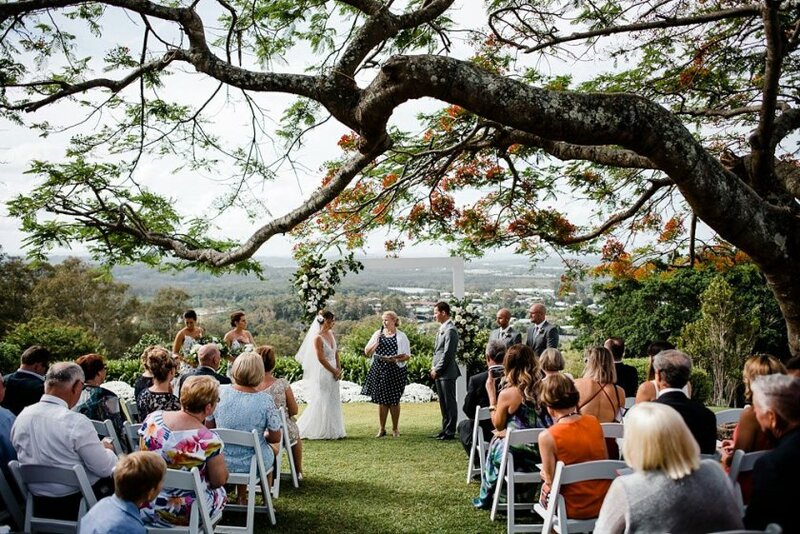 As you will see this isn’t just any backyard, with its sweeping views of the Sunshine Coast, gorgeous light-filled Jacaranda tree, and plenty of space for a marque reception. 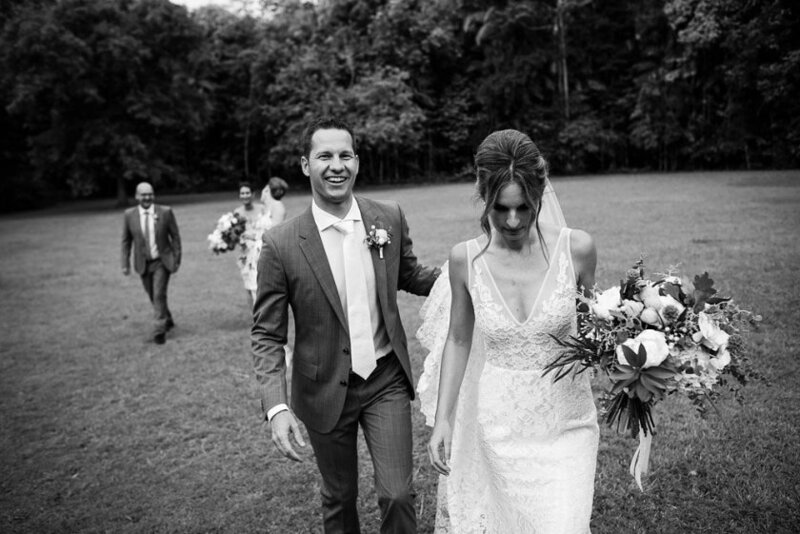 Smiles, laughter, tears, surprises and an emergency dress repair moments before walking down the isle; this wedding had it all! 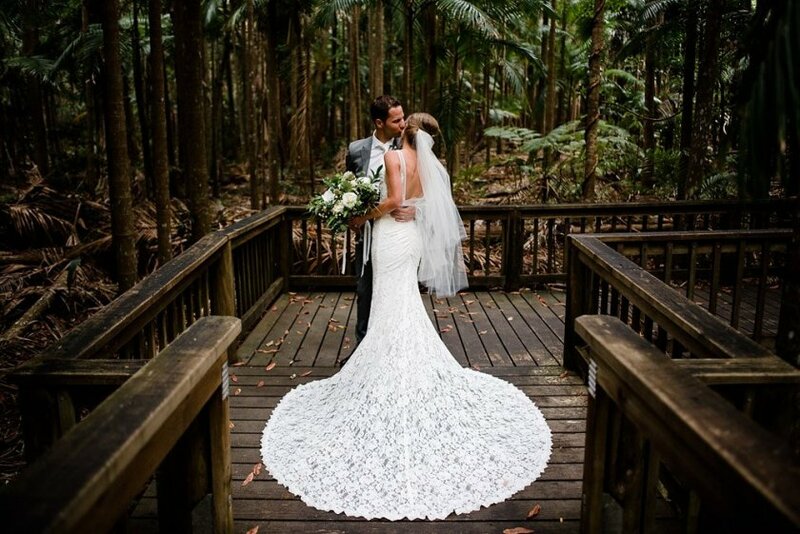 Congratulations Alana & Mike!